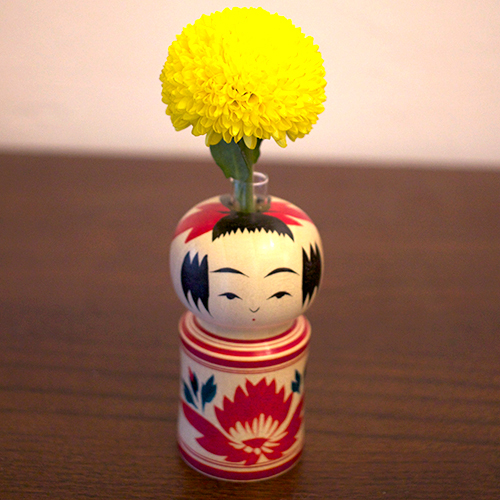 Let flowers bloom on the head. 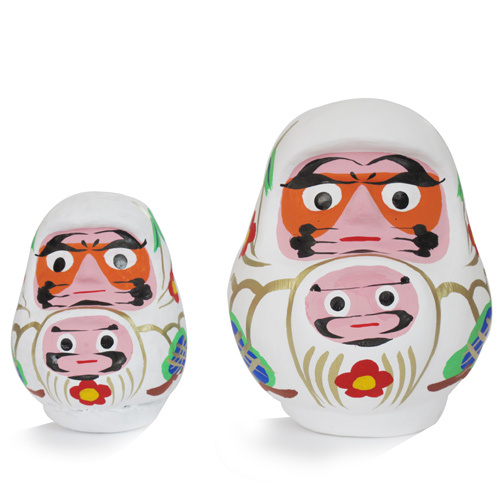 “DARUMA” is a tumbler doll (which automatically returns to a upright position when tipped over) that modeled after Zen meditating Buddhist monks “Bodhidharma” in India. 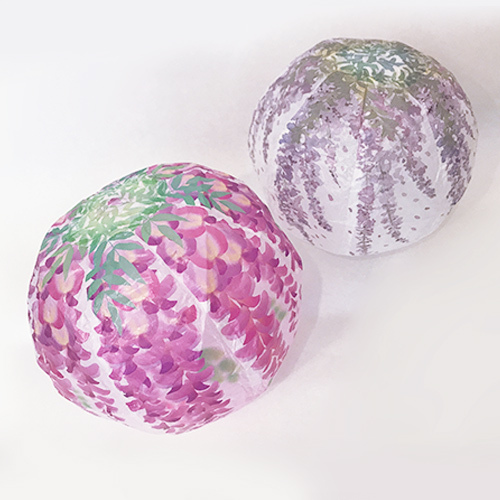 It is made of papier-mache. 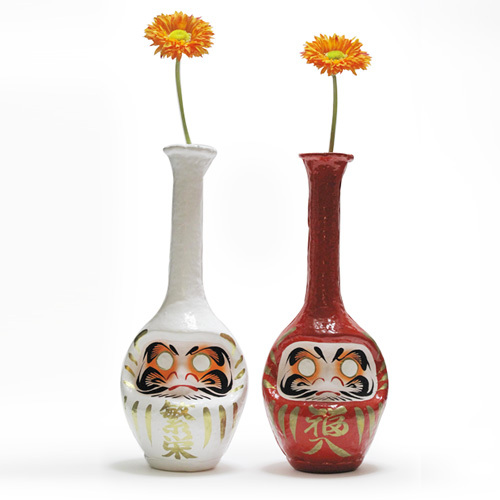 It is sold with eyes left blank, and eyes are painted in when wishes come true, by old customs. 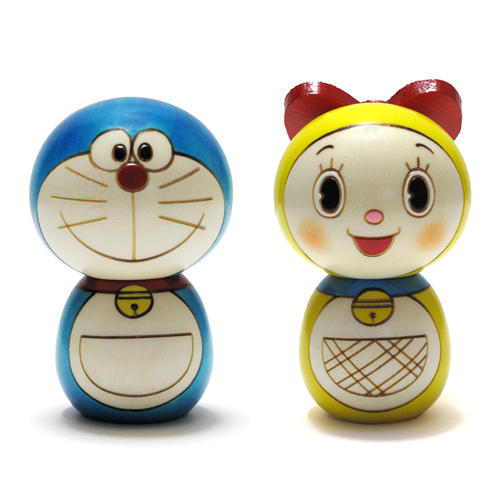 Considered to be a good luck charm, it is widely used in praying for educational success and business prosperity. 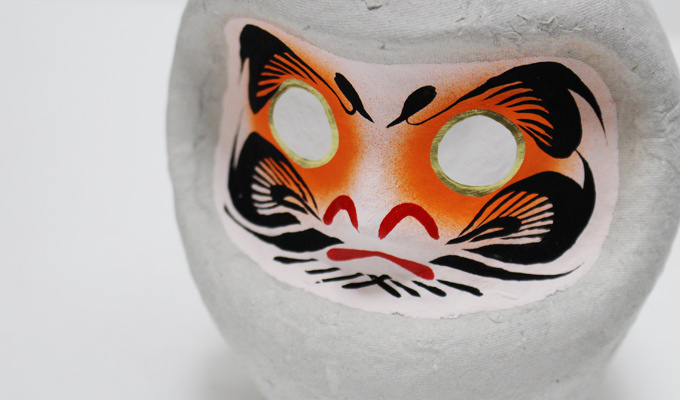 DARUMA is one of extremely familiar ornaments in Japanese culture today. 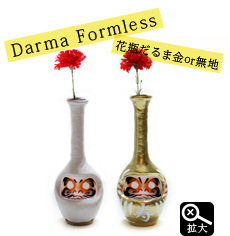 Literally “formless” shaped, this DARUMA is a product of “FormlessDesign". 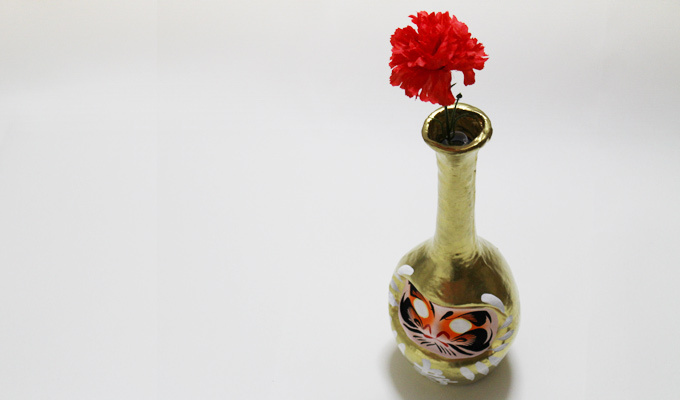 It is 90% like DARUMA, but with its head strangely extended, voila, it becomes a vase. 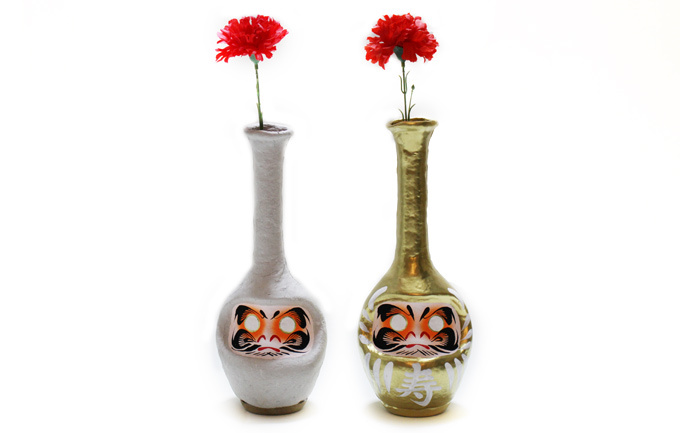 The exquisite combination of simple flower and solid DARUMA vividly decorates a bland room. 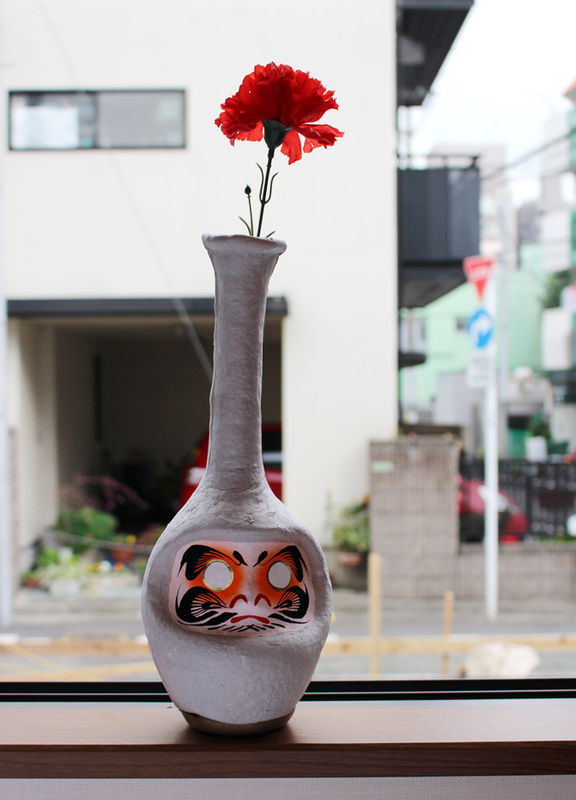 DARUMA masters well-known for “KOSHIGAYA DARUMA” creates this DARUMA VASE one by one, making each DARUMA face one of a kind. 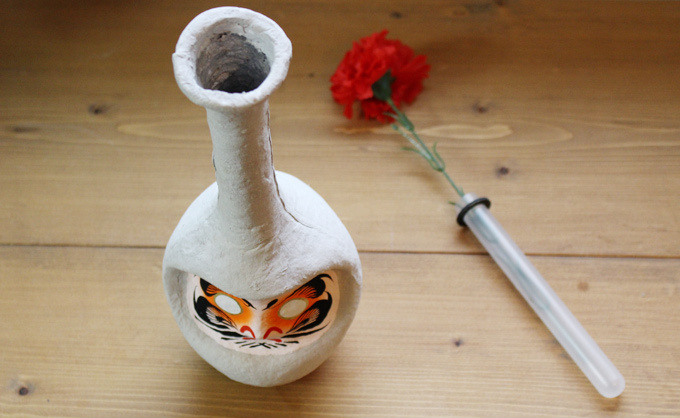 Of course, it still functions as a good luck charm. 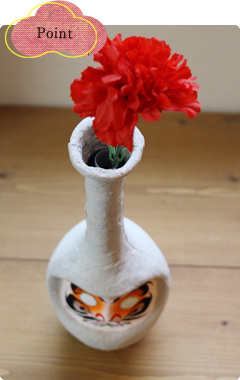 You could paint in the eyes when your wishes come true, or just let the flower bloom quietly in this vase as a sweet reward. 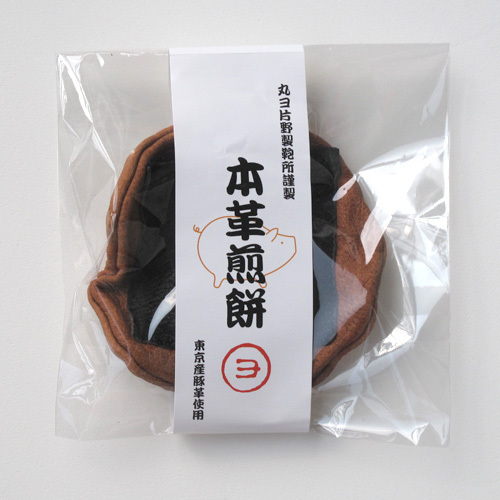 Your wishes may come true countless times. 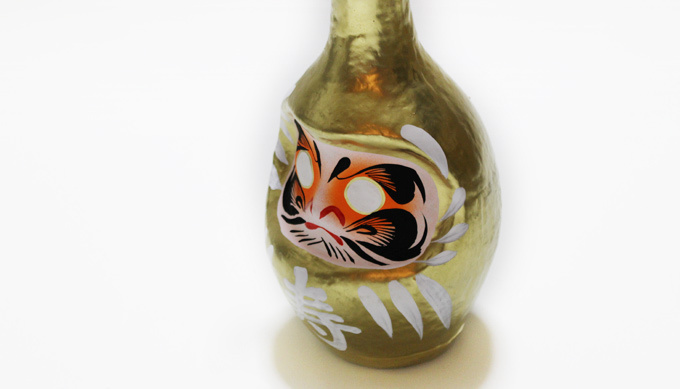 A good luck phrase “FUKUIRI” is painted in the body of DARUMA. 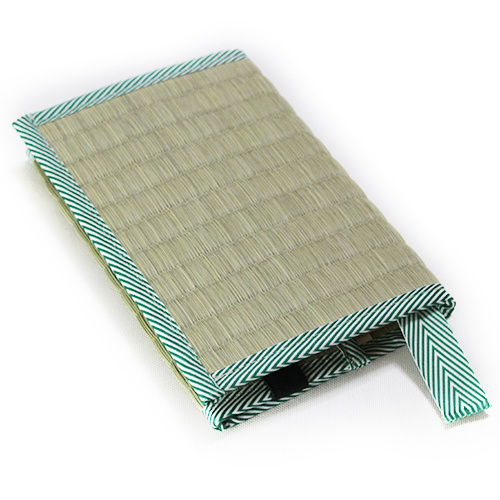 It would make a great gift that brings luck for those who must face important exams or who start new business. 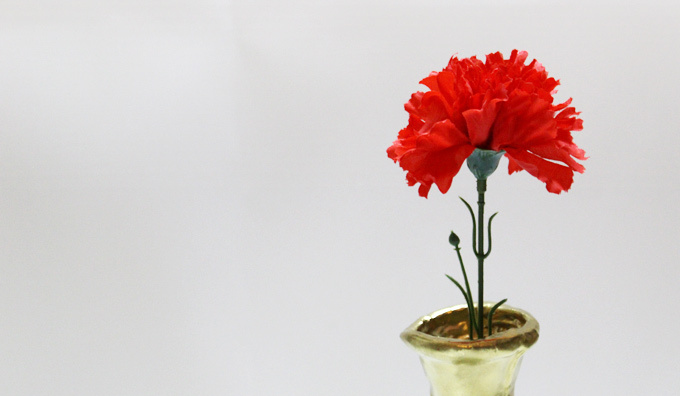 Because it is not just an ornament, even after the wishes come true, one can simply enjoy the beautiful flowers in the vase. 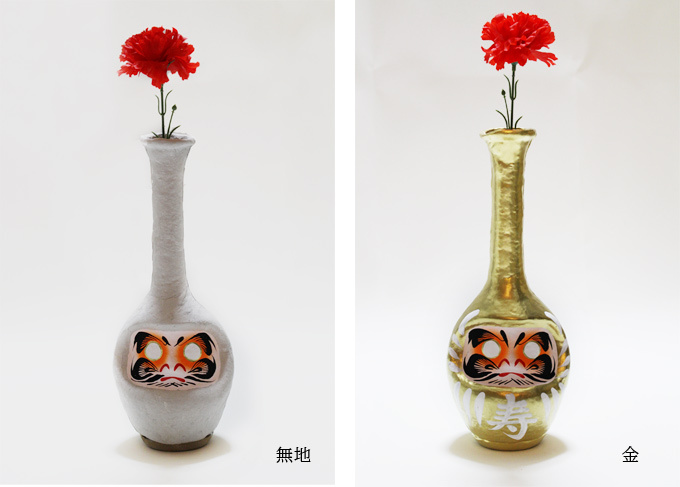 You can display this DARUMA VASE with the great hopes and wishes for this coming new year! 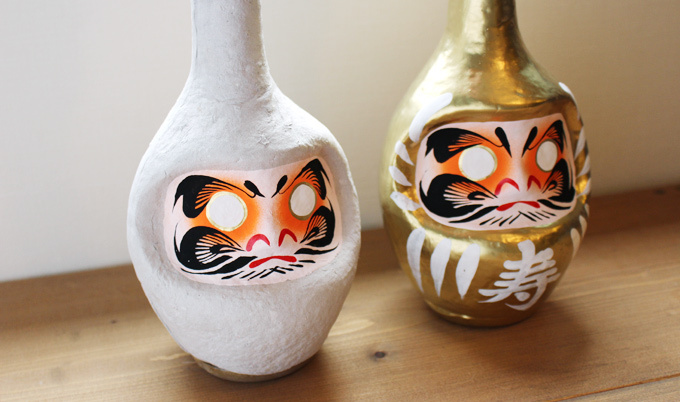 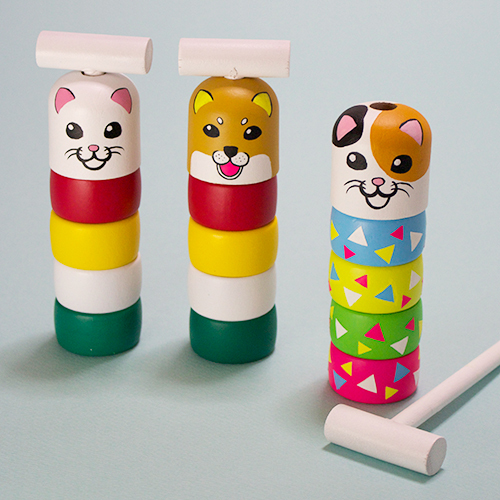 This cute DARUMA can be a substitute for SANTA for this holiday seasons, maybe? 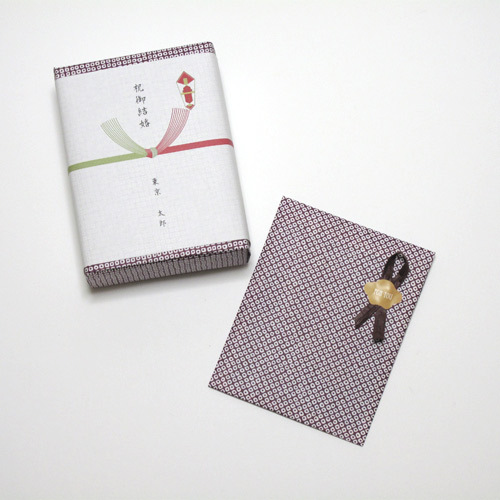 [Notes] :Because the body is made of paper, you cannot pour water directly. 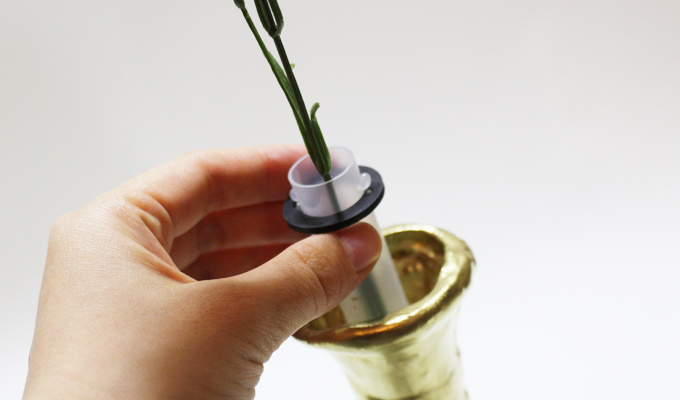 Please pour water into the glass tube packaged together before use.